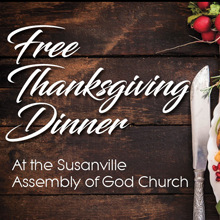 Susanville’s Assembly of God Church will be hosting a free turkey dinner with all of the fixings on Thanksgiving day at their church, 473-465 Richmond Road. 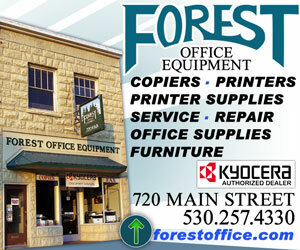 Dinner will be served between 11:00a.m. and 2:00p.m. on November 22nd. 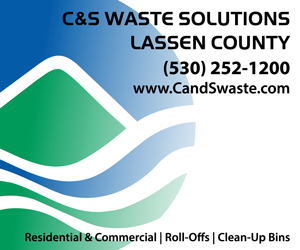 For information, or to request a dinner delivery, call 257-5000.